Doctor Who fans might need to take a moment to process the latest news from Marvel’s A.K.A. Jessica Jones set. This morning, Marvel and Netflix announced that David Tennant, fondly remember as the Tenth Doctor on the British series Doctor Who, is joining the cast of A.K.A. Jessica Jones in a major role. In fact, he’ll be playing a villain known as Kilgrave on the series. Marvel’s announcement this morning indicates that Tennant will star in Jessica Jones opposite the already announced Krysten Ritter, who will be playing the titular character, and Mike Colter, who will be playing Luke Cage in the Netflix production. Kilgrave is a pretty longstanding character in the Marvel canon, having appeared for the first time in an issue of Daredevil back in 1964. More recently, he’s been a big enemy of Jessica Jones and Luke Cage. His history with Jones is pretty sinister. When she was a superhero, he actually briefly forced the woman to do horrible things with his mind control powers, causing her strife. Since A.K.A. Jessica Jones is actually set following her stint as a superhero, we likely won’t get to see much of that storyline (unless it comes in the form of flashbacks). In the new Netflix drama, Jessica Jones will have started a brand new life as a private investigator—one who is still haunted by her past and who suffers from PTSD. The news follows reports from last week that indicated audition tapes for A.K.A. Jessica Jones featured a character named Kincade—similar to Kilgrave—along with Jessica’s fear that someone might control her again. 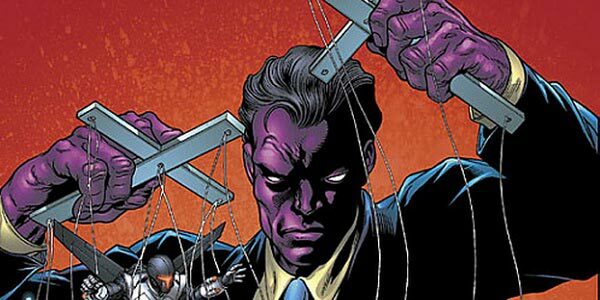 Turns out those rumors have come true and The Purple Man will return to haunt Ms. Jones in a storyline that will “send shockwaves” through Jessica Jones’ whole world. If you weren’t particularly excited about A.K.A. Jessica Jones before, David Tennant is a great reason to get on board. We’ve seen him play a particularly cool Time Lord on Doctor Who and more recently he’s played a moody detective on Broadchurch and its American counterpart Gracepoint. He more often plays an unlikely hero than an outright villain—although he did play Death Eater Barty Crouch, Jr. in the Harry Potter movies—and we can’t wait to see him flex his villain muscles. It could be a while before we see Jessica Jones on Netflix, but I’m beginning to have trouble containing my excitement. Hopefully, enough people feel the same way and the upcoming Netflix program will prove to be a success. We'll update you as more actors and actresses sign on to the series.